During his first days in the White House, President Barack Obama promised to usher in an era of openness in government, stating that a new commitment to transparency would only serve to "strengthen our democracy." But now, some seven years later, a new study conducted by the Columbia Journalism Review suggests that relations between the White House and the media have never been so closed off. CJR looked at press briefings, conducted interviews with White House press secretaries and correspondents, and studied every official interaction between Obama and the press corps last year, all with the goal of shining a light on the president's complex relationship with the media. What CJR found was a "White House determined to conceal its workings from the press, and by extension, the public." "The media most responsible for covering the president and his inner sanctum are given little insight into how decisions are made or who influences those decisions, whether from inside or outside the White House," the study reads. "Evidence suggests that the relationship between the president and the press is more distant than it has been in a half century." 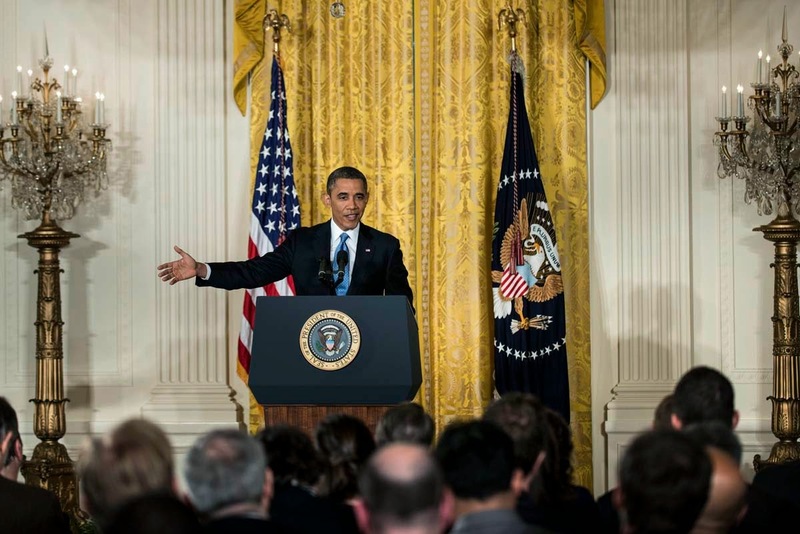 For years the media has accused the Obama administration of declaring a war on journalism. Most recently, the government's combative relationship with the press has been on display in its legal battle with James Risen, a New York Times reporter who refused to testify against a source accused of leaking him classified information. In February, Risen called the Obama administration “the greatest enemy of press freedom in a generation,” and said he would spend the rest of his life "fighting to undo damage done to press freedom in the United States by Barack Obama and Eric Holder." But CJR doesn't let reporters of the hook, either. The study says the press has been held prisoner by the demands of social media, chasing clickable quotes rather than substantive information. The pervasiveness of social media got so out of hand, apparently, that White House press secretary Josh Earnest put an end to off-camera morning meetings in his office because journalists would use the opportunity to tweet every word he said.